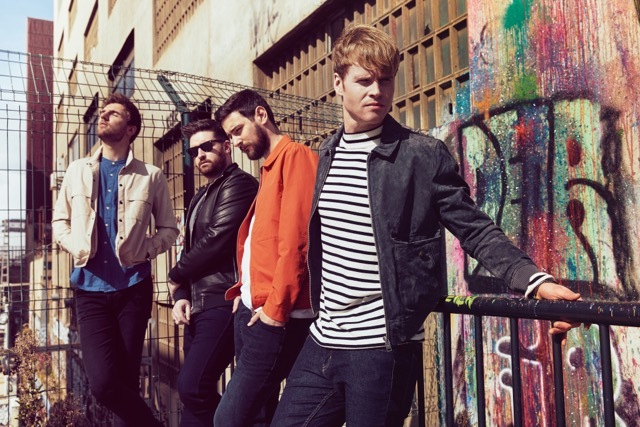 Home / brand new / Kodaline / música / video premiere / Kodaline release new single "Follow Your Fire"
Kodaline release new single "Follow Your Fire"
Kodaline are back with a stunning brand new single titled Follow Your Fire, impacting on RCA Records on May 5th! This is an anthemic slice of powerhouse pop armed produced by hitmakers Steve Mac and long-time collaborator Johnny McDaid who both worked on the worldwide smashes Shape Of You by Ed Sheeran and Pink's What About Us. This song is packed with so much energy guys! Loving it! Watch the official music video below! Follow Your Fire is taken from their forthcoming new album and looks set to propel them onto an even bigger stage than past glories. It's a new sound that germinated during their sessions with Kygo, two years ago, on the global hit Raging. It follows last summer's massive airplay hit Brother and their I Wouldn't Be EP, and shows that Ireland's finest are about to take the world by storm. It's been a while since we released our second album. But we felt we need to take the time to make sure this was the best album we could make! We are so happy with it and can't wait for people to hear it! This will be the first collection of new music since 2015's Coming Up For Air, which went Gold in the UK. The band's debut album, In A Perfect World has sold over a million copies worldwide and imprinted itself on the nation's consciousness with streaming figures well into the 100s of millions. On Vevo the band's videos have had over 200 million views, and they have sold over a million singles.